Right now in Brooklyn, a very sweet event is happening featuring amazing queer country artists! Music, delicious food and after the artists get paid, remaining proceeds will be donated to TJFP. Please come stop by if you can! This is the anti-July-4th, all-day, all-out extravaganza you’ve been waiting for! 13 amazing queer, trans, and/or poc bands. 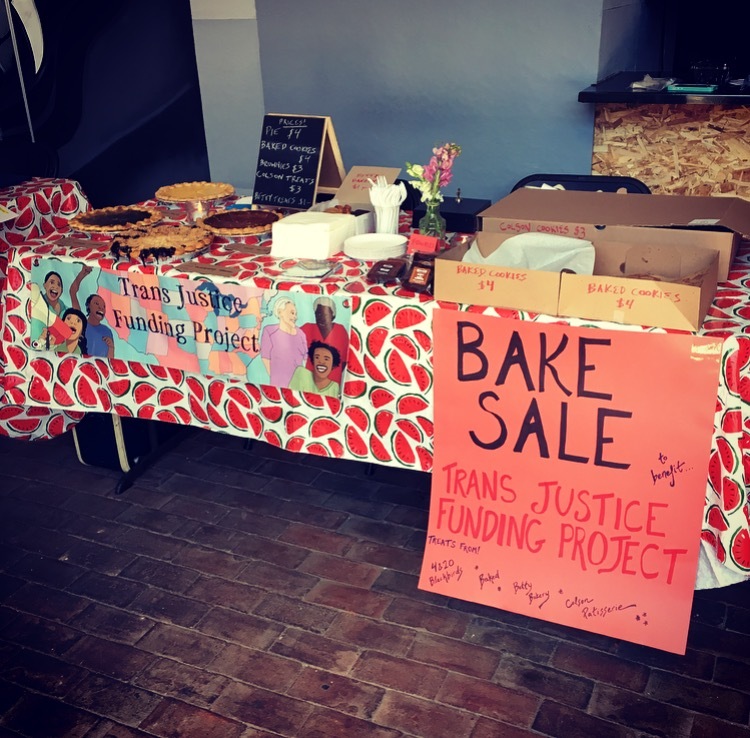 A giant bake sale to benefit the Trans Justice Funding Project. DJ Nath Ann Carrera. Host Heather María Ács. Tacos from the Kimchi Taco Truck. What is country music? Who is it for? Come envision another country with us on Sunday, July 2nd! Bake sale sweets donated by 4 & 20 Blackbirds, Baked, Betty Bakery, and Colson Patisserie! Tickets are $10-$20 sliding scale* for the day-long festival. Please pay what you can to support our musicians! No one ever turned away for lack of cash! Any profits from the day, after all the musicians get paid, will also be donated to TJFP. Starting at 7:00, DJ Nath Ann Carrera will keep us dancing between sets! TJFP is a community-led funding initiative that supports grassroots, trans justice groups run by and for trans people. TJFP centers the leadership of trans people organizing around their experiences with racism, economic injustice, transmisogyny, ableism, immigration, incarceration, and other intersecting oppressions. The Trans Justice Funding Project is a community-led funding initiative supporting grassroots, trans justice groups run by and for trans people.